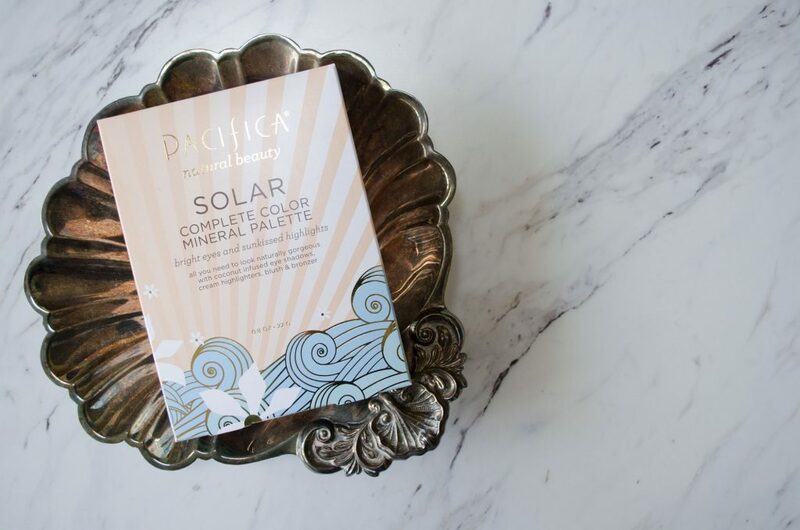 I’ve been on a bit of a Pacifica Beauty bender and recently decided to pick up the Pacifica Solar Complete Color Mineral Palette. My Pacifica collection is definitely growing – I’ve been coveting everything by the brand! From their quality, to their ethics, I am behind everything they have to offer, and this palette is no exception! With 6 eyeshadows, 1 blush, 1 bronzer and 3 cream highlighters, this palette has got all the essentials to create a full faced look. The colour palette evokes spring/summer perfectly! The shade selection is very complimentary, even with the addition of gold and blue. 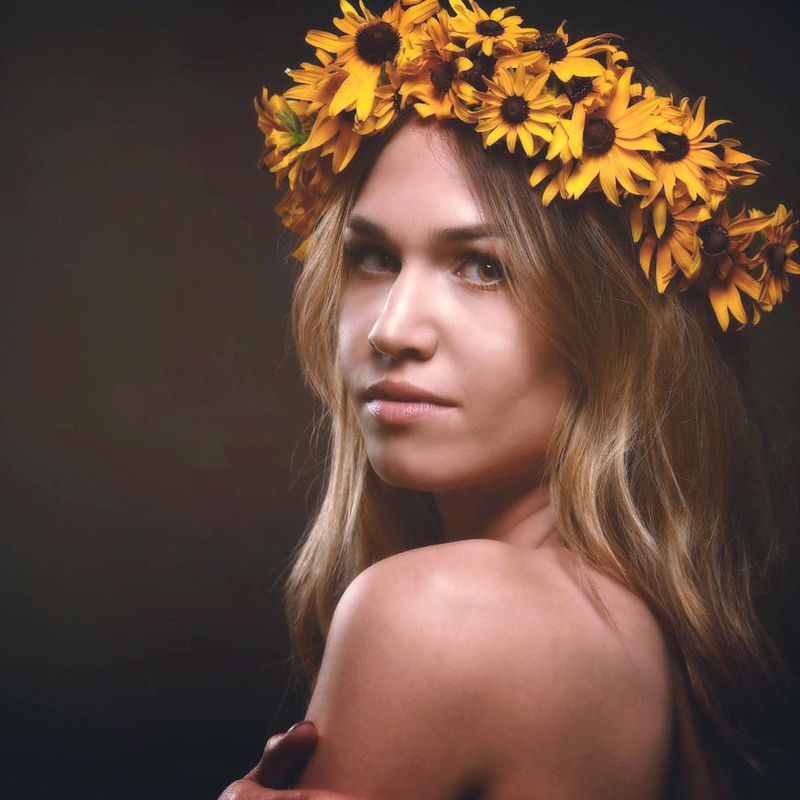 It’s easy to create a full-faced, cohesive look because all these elements pair so well together. I’ve been mixing up the way to use these elements and have found they perform well no matter the context. Bonus points! Both the blush (Flushed) and bronzer (Bronzed) make a gorgeous all-over lid shades for a single shadow look! The eyeshadow Glow is an unreal highlight on the top of the cheek bones! And all of the highlighters make gorgeous lip toppers in place of gloss. Talk about multi-use! This palette really does it all! Pacifica knows their branding. 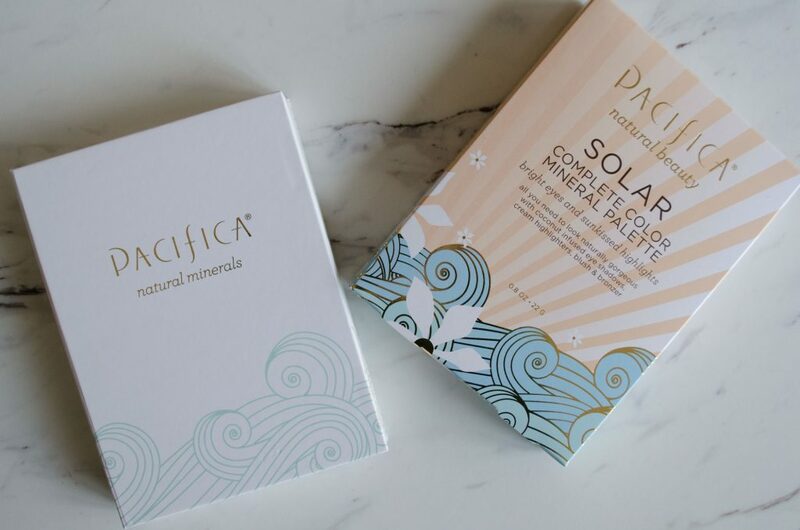 The packaging of Pacifica products is always eye-catching with it’s touch of whimsy! I’m always drawn to the intricate and colourful packaging this brand has for every release. It’s refreshing to see some exploration and fun! But there is also a sense of practicality to their packaging as well. This palette is in a cardboard package, which I know many people dislike, but it feels sturdy and has a strong magnetic closure, to avoid any mishaps when travelling. Yes, this will be the perfect travelling palette! Plus, it is fully recyclable packaging, which is great! I wish the colour names were on the palette itself, instead you can only find them on the box. That’s kind of a let down for me, as the box always makes its way into the recycling. However, I do love the simple look without a lot of type inside the palette. As for the product, there is a great variety of shades, perfect for creating many different looks. Every product does have a shimmer finish though, with the exemption of the bronzer which is more of a satin finish. I personally don’t feel the need to have a matte transition shadow in every palette, because it’s not something I use all the time if I’m honest! I definitely can see how some people would want a variety of mattes to balance the palette out, but I just don’t always find that necessary. 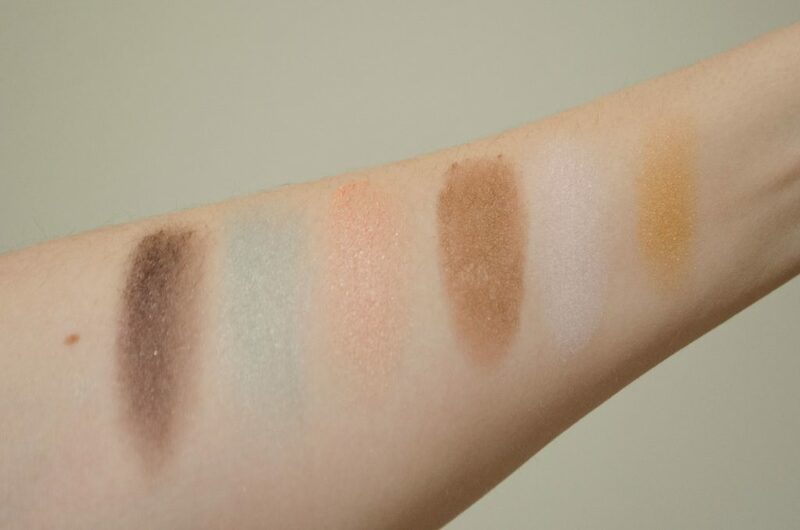 Above, it’s easy to see that there is a great range of eyeshadow shades. Everything is quite unique, but also complimentary. The pigmentation isn’t in your face, it actually is quite sheer, but it is buildable. And these perform amazingly when applied with a wet brush. But they can also give a subtle wash, and that’s a beautiful way to wear these kinds of shades in my opinion! Very versatile, these shades can suit any mood and style! This palette is available online here from Pacifica. I actually purchased mine from National Nutrition (available here) for an amazing price – just $30CAD! 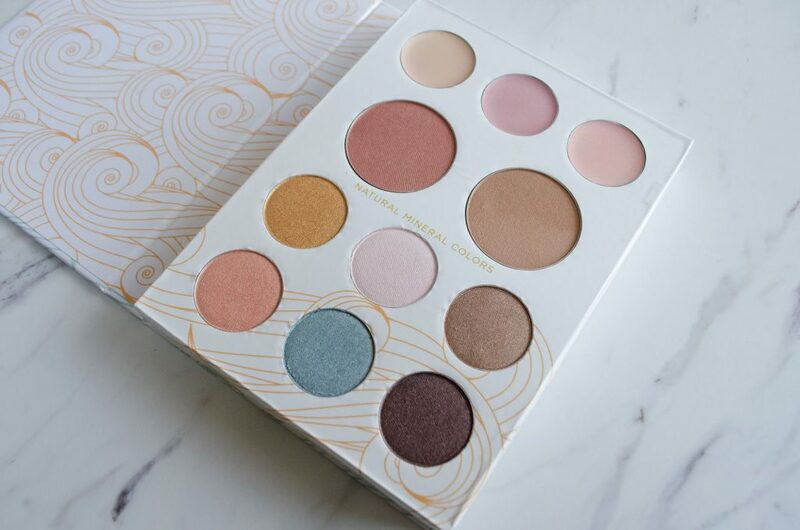 Have you tried this palette from Pacifica? What other products by the brand have you tried? I’ve been wanting to try everything!